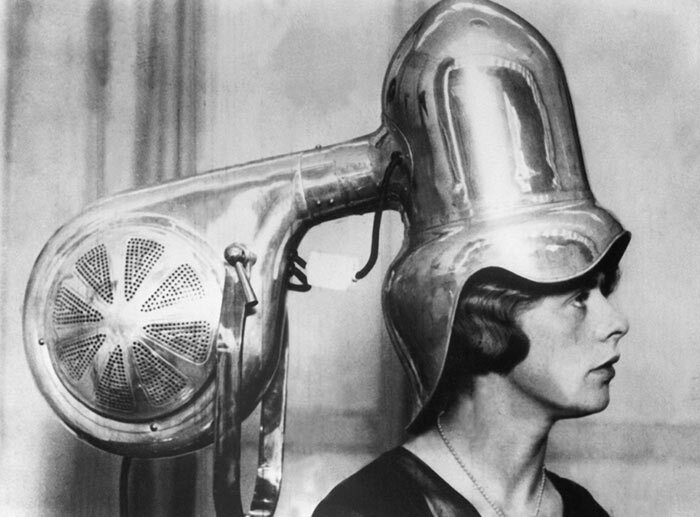 The hair dryers women used in 1930s and 1940s were totally different from the easy-to-use styling tools we all have	nowadays and it’s really interesting to look back in time and see the evolution of these magic tools. Since ancient times feminine beauty has been one of the main themes of literature, music, architecture and art. A huge amount of legends and sagas were written about women, thousands of songs became popular due to lovely lyrics praising women, let alone infinite portraits depicting the beauty of a woman. Men are actually never tired of admiring and glorifying beautiful ladies. Therefore it is not in any way surprising that every single woman in the world strives to enhance her beauty. The methods are different. Some consider natural look with minimal makeup to be attractive, while others prefer to draw attention through a heavy and eye-catching makeup. It is beyond doubt that subtly accentuated eyes, seductive lips, professional makeup and stylish clothing are significant components of every woman’s appearance. Still hair comes to be the major charm-giving and luxury-creating component. 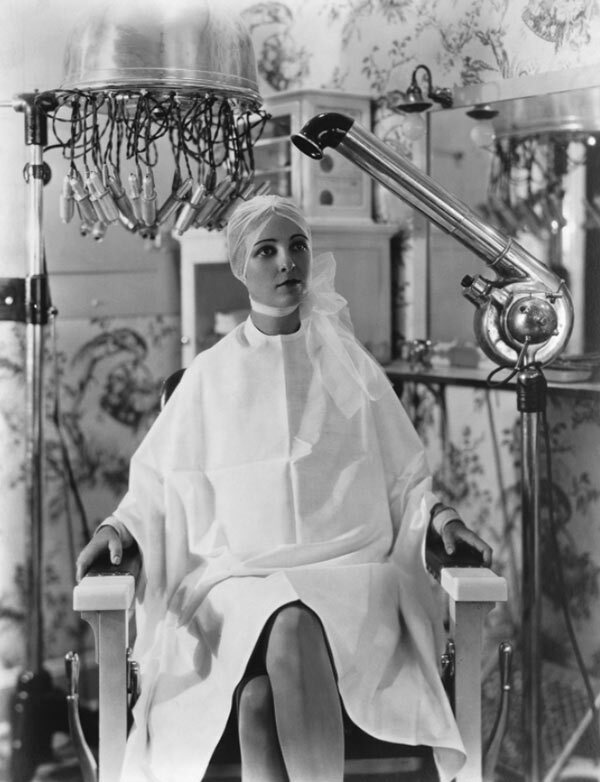 Beauty brands don’t stop releasing new and advanced hair styling tools and hair care products nowadays, but how did women style their hair back in the ’30s? Have you ever tried to imagine your life without a hair dryer? Let us not imagine that depressing situation; it is better to take a little tour through the history of the creation and evolution of this irreplaceable treasure. Until the end of the 19th century women could only rely on the windy weather to dry their hair. Some risky women, keeping in their minds the popular quotation “Beauty requires sacrifice’, were using fire as a drying method. Afterwards, an idea came to some genius people’s mind. Why not use a vacuum cleaner as hair-drying equipment? The idea was put into action by attaching hoses to the exhaust ends of the vacuum cleaner and using it as a fantastic means of blow-drying hair. Seeing the rising demand for a hair drying device among women and deciding to take advantage of the situation, French stylist Alexandre-Ferdinand Godefroy was the first to invent a gadget with a hair drying capacity in 1890, thus facilitating women’s life. The original contraption consisted of a seat and a hood, which was connected to the gas stove and through which it operated. The mechanism of operating was simple ” the hot air was drying the woman’s hair passing through the pipe, who was sitting underneath the hood. 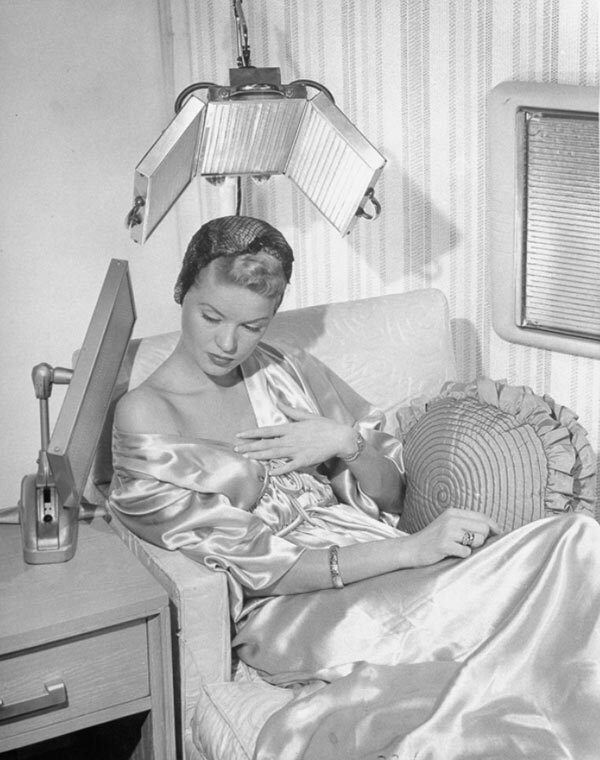 Being enthusiastically used in the fashion world, the original hair dryers actually experienced many changes in the period between the ’30s and ’40s. Different variants of hair dryers were released across the world, aiming not only at drying but also styling the hair. The leading hair salons all over the world succeeded in attracting more and more customers thanks to this godsend. Additionally, the hair dryers generated the phenomenon of hairdressing exhibitions, where different hairstyles were demonstrated. Going back to 1911, it is worth mentioning the first patent of a handheld portable hair dryer, invented by Armenian American Gabriel Kazanjian. The idea itself was really fantastic and useful. However, the realization was not so effective. They were heavy and difficult to use. Still, what made these new hairdryers get out of circulation was the fact that they were really dangerous to use. In case of contacting with water they would short-circuit and cause many accidents. That is the reason why the original hair dryers survived until the 1970s. Along with the development of the technique, the manufacturers started designing more powerful and safer handheld hair dryers, which are now widely used by individuals, at beauty salons and fashion houses around the world.